With +60 years’ experience of developing engineered fibre solutions, Roblon has obtained substantial know-how about fibre products. 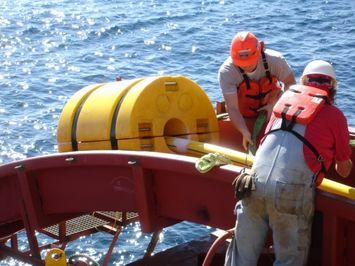 Roblon straps and tapes are a recognised solution for subsea, marine and aquaculture environments and wherever harsh-environment strapping is needed. The products are usually coated with jacketing materials, offering strength and stabilising properties for the specific application. The Roblon name is associated with high quality, quick delivery and excellent service. Development of new products typically takes place in close cooperation between our customers and in-house R&D department. Our in-house testing and laboratory facilities ensure thorough documentation and testing of our products. Roblon is ISO 9001 and ISO 14001-certified by Lloyds Reg. Multi-purpose strapping solutions (Different types of straps with different properties). Tapes for protection, insulation, reinforcement and tensile strengthening. High Voltage Pulling Rope for electrical insulation – suitable for live-line work on or near overhead power lines.